CRESTLINE — The board of directors of Together We Hurt Together We Heal is planning its eighth annual fundraising banquet on Tuesday, Aug, 28 at 6 p.m. The event will be held at the Calvary United Church of Christ 511 Heiser Court, Crestline, Ohio. Doors will open at 5:30 p.m. The public is invited and encourage to attend and learn more about this group. The group mission, as a Christian organization, is to assist addicts and families in stopping the hurt brought on by the use of opiates and addictive substances through education, intervention and support which include connections to treatment options, referral assistance and support during transition. It is the group’s goal to help those leave behind the chaos of addiction and to begin a life of recovery to enjoy peace, hope and an abundant life as God planned for each of us. Have you ever questioned why our children begin to use/drink, wondered what you could do to help someone with a drug/alcohol problem? How do 12 Step programs help all the family not just the addict/alcoholic? How can my church help? Our community, county, state and country is in the grips of an opioid health epidemic. The overdose deaths in Crawford County in 2017 were 17, a 90% increase from 2016. This is unacceptable. Each life lost was somebody, somebody whose life mattered and will be missed by many loved ones. They were not just a number on a tally sheet. 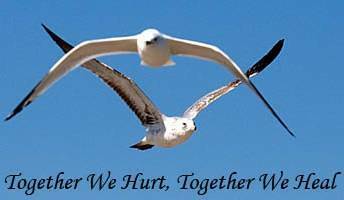 Please join Toether We Hurt Together We Heal to hear from our guest speakers Marcie Seidel, Director of Prevention Action Alliance and Tony Coder, Director of Programs and Services at the Ohio Association of Behavioral Healthcare Authorities. Learn how you can help to make a difference in the life of an addict and their family. Be part of the solution for our community. We will be giving updates on our peer recovery houses, Sycamore House and Willow House. Seating is limited. Tickets for the event are $25 per person and seats may be reserved by sending your name, address and check to TWHTWH P.O. Box 772 Bucyrus, OH 44820. Donations are accepted and are tax deductible.